When visitors submit personal information and CV files on the site we collect the data shown in the comments form, and also the visitor’s IP address and browser user agent string to help spam detection. If you leave a comment or fill out a contact form with your personal details and CV document, the submission and its metadata are retained for a reasonable amount of time. This is so we can recognize and approve any follow-up comments automatically instead of holding them in a moderation queue. Visitor comments may be checked through an automated spam detection service. Perosnal information uploaded to the website via our contact forms will be reviewed by the staff at Direct Recuitment (Midlands) Ltd. Information such as your CV and personal information may be passed to our clients where you have expressed that you wish to apply for a vacancy at their business. We may disclose data which you have supplied to us to our clients, suppliers or subcontractors insofar as reasonably necessary. 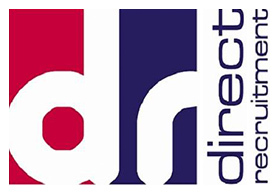 This website is owned and operated by Direct Recruitment (Midlands) Ltd.
We are registered in England and Wales, and our registered office is at Direct Recruitment (Midlands) Ltd.High Street Arcade, 52 High Street, Stone, Staffordshire, ST15 8AU. Our principal place of business is at Direct Recruitment (Midlands) Ltd.High Street Arcade, 52 High Street, Stone, Staffordshire, ST15 8AU.